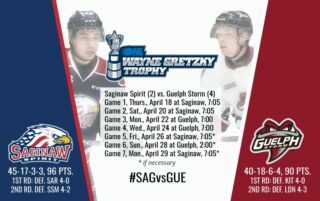 The Saginaw Spirit took on the Ottawa 67s on Friday night, winning on the road 8 – 3. The Spirit came out strong in the first, scoring the first and second goals of the game. The first goal was scored by Brandon Prophet with an assist coming from Buffalo Sabres prospect, Justin Kea and Eric Locke. The second goal came off the stick of Eric Locke assisted by Nick Moutrey. The 67’s scored their first goal of the game with less than 3 minutes left in the first period, on a tally by Steven Janes assisted by Sean Monahan and Ryan Van Stralen. 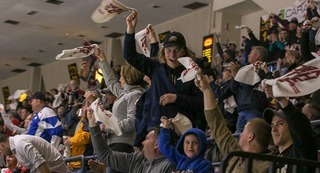 The first period ended Saginaw 2 – Ottawa 1. The Spirit came out with a solid effort in the second. Saginaw scored on the first power play opportunity of the game on a goal by Andrey Alexeev, with assists coming from goaltender, Jake Paterson. The Spirit scored their second goal of the period less than 5 minutes in, on a shot by Jimmy Lodge assisted by Florida Panthers prospect, Vince Trocheck and Chicago Blackhawks prospect, Garret Ross. The 67’s came back to score on the power play with less than a minute left in the period, on a goal by Sean Monahan assisted by Cody Ceci and Tyler Graovac. The second period ended Saginaw 4 – Ottawa 2. The third period opened up with a Spirit goal less than a minute in, off the stick of Brandon Prophet, his second of the night from Vince Trocheck. The 67’s fired back with a goal from Sean Monahan assisted by Brett Gustavsen. The Spirit continued the scoring with three more goals before the end of the game. The Spirit’s second goal of the period was scored by David Perklin, with an assist from Dylan Sadowy. 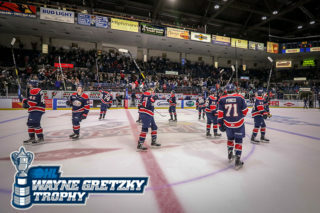 The next Spirit goal was scored by Vince Trocheck, with an assist from Jimmy Lodge, followed by a goal by Brandon Lindberg, with an assist from Andrey Alexeev. The final score of the game was Saginaw 8 – Ottawa 3, with shots on goal Saginaw 47 – Ottawa 34. CATCH THE SPIRIT! 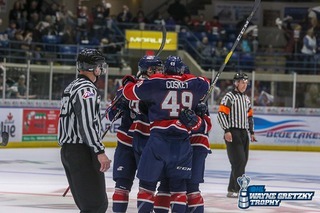 – The Spirit will continue their three day road trip in Belleville on Saturday, November 10th at 7:05pm. 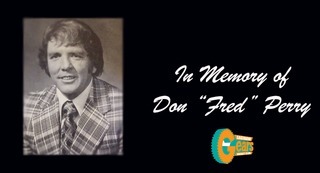 That game can be heard on FM Talk and Sports WSGW 100.5. Next home action for the Spirit will be Wednesday, November 14th at 7:11pm against the Plymouth Whalers at the Dow Event Center. Tickets are still available. 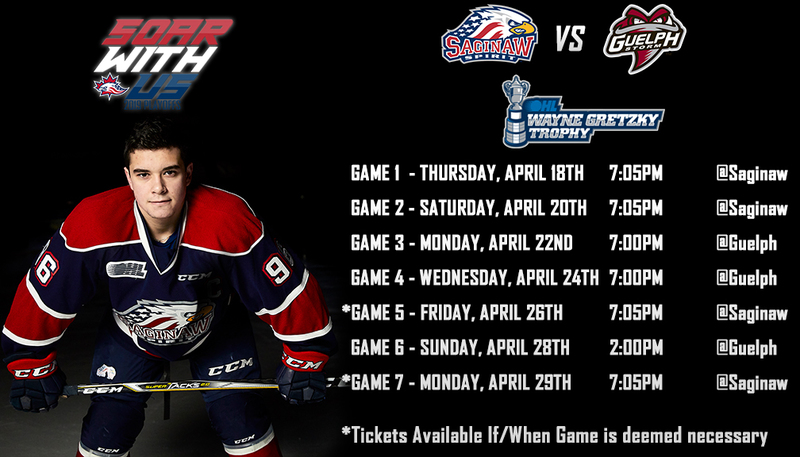 Go to www.saginawspirit.com for all your ticket needs.